Over the course of his life, Kenneth Rexroth wrote about the Sierra Nevada better than anyone. 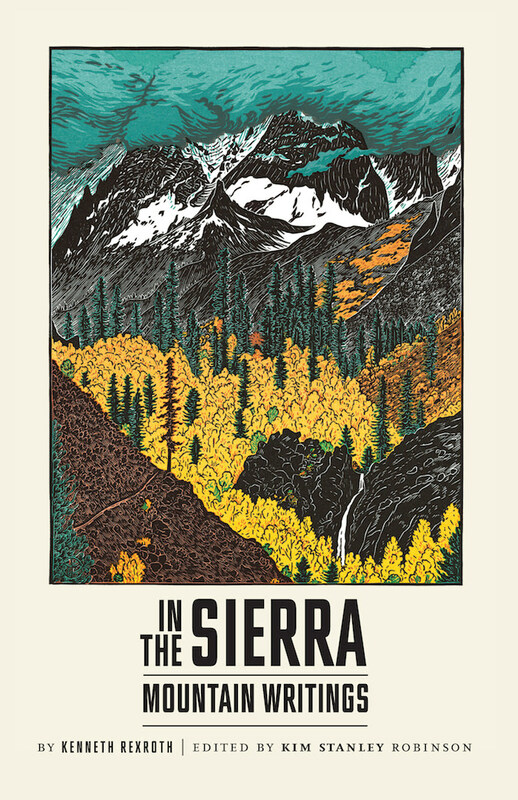 Progressive in terms of environmental ethics and comparable to the writings of Emerson, Thoreau, Aldo Leopard, Annie Dillard, and Gary Snyder, Rexroth’s poetry and prose described the way Californians have always experienced and loved the High Sierra. Contained in this marvelous collection are transcendent nature poems, as well as prose selections from his memoir An Autobiographical Novel, newspaper columns, published and unpublished WPA guidebooks, and correspondence. Famed science-fiction writer Kim Stanley Robinson has compiled a gift for lovers of mountains and poetry both. This volume also contains Robinson’s introduction and notes, photographs of Rexroth, a map of Rexroth’s travels, and an amazing astronomical analysis of Rexroth’s poems by the fiction writer Carter Scholz.